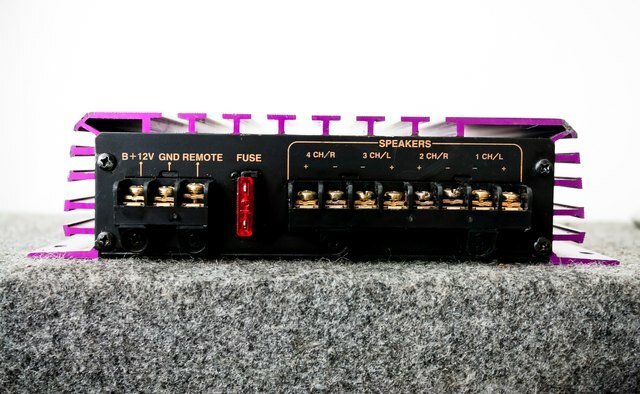 Bridging a four-channel car audio amplifier will effectively double your amp's output (watts) so that you can drive more power to your speakers or subwoofers. It's relatively easy to bridge a four-channel amp as long as you have a very basic knowledge of car audio wiring and how to connect an amp to your car's audio system. 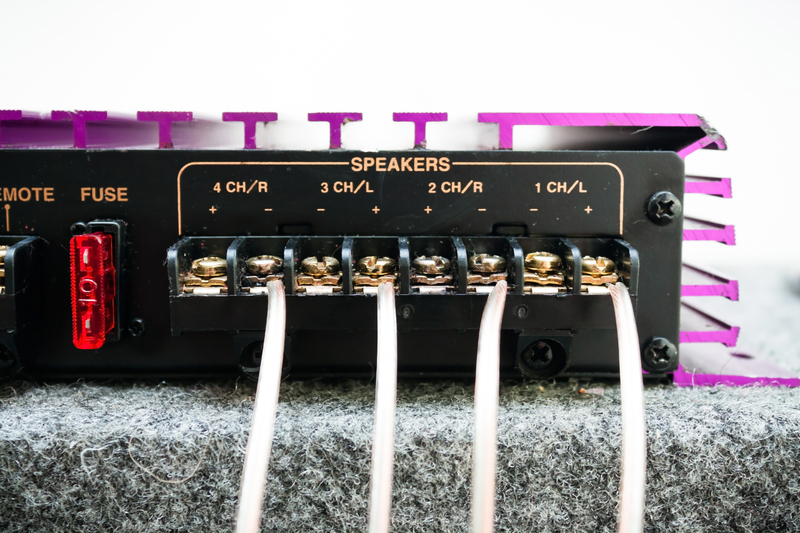 The most common application when bridging a four-channel amp is to connect the amp to a pair of 4-ohm subwoofers. 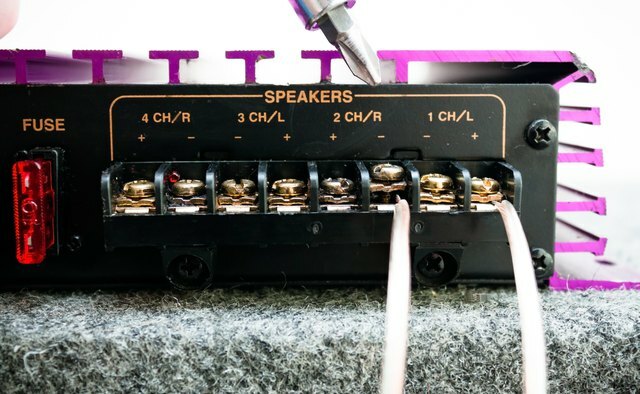 Locate the speaker wire terminals on your amp. 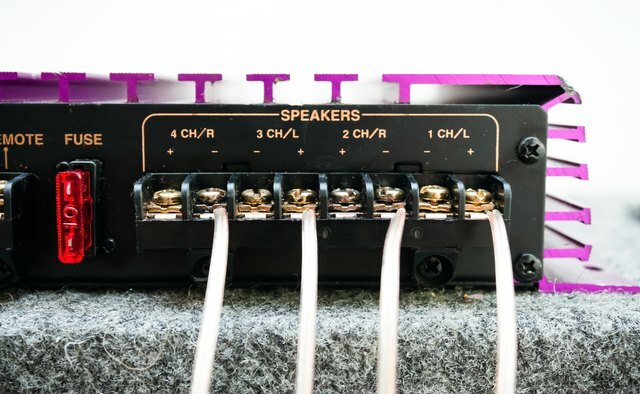 There will be four speaker wire terminals, or channels, which consist of both a positive and negative terminal with a screw-down clamping system to hold the speaker wire securely in place. Run speaker wire from the positive terminal of channel one to the positive terminal of the first subwoofer. 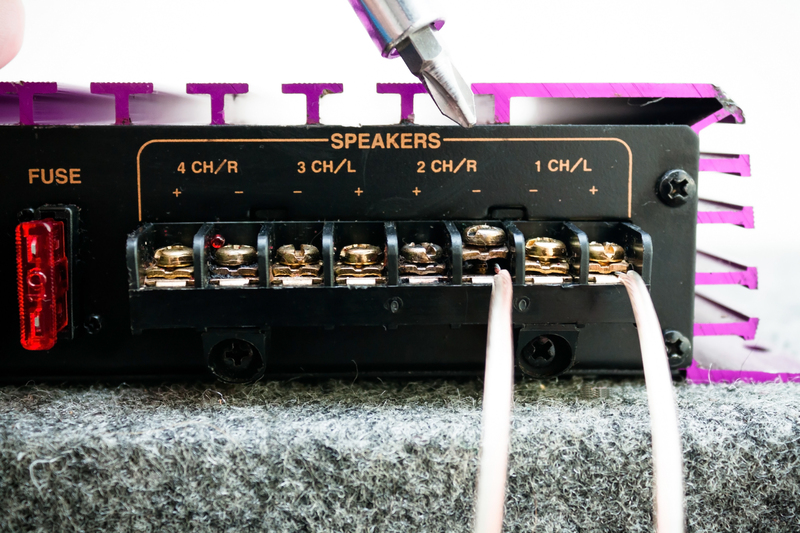 Use the wire stripper to strip about ½ inch of insulation from both ends of the wire, and clamp the speaker wire down securely in the amp's terminal using the screwdriver. Run speaker wire from the negative terminal of channel two to the negative terminal of the first subwoofer. 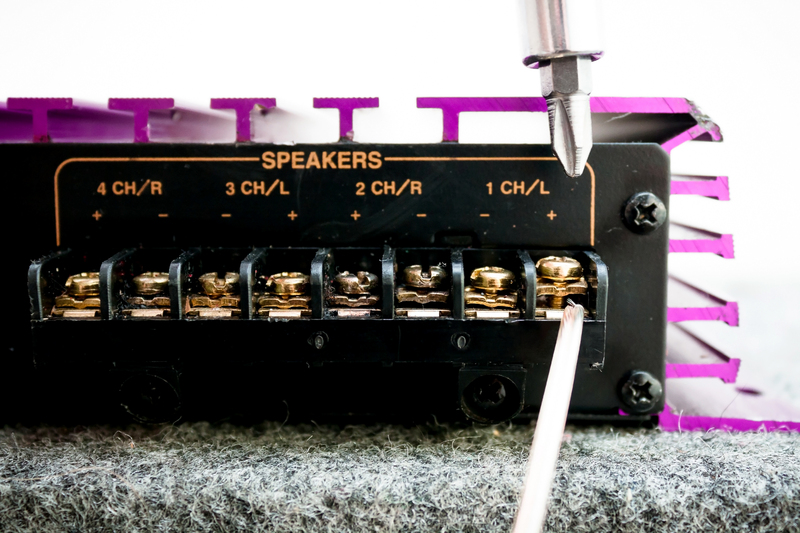 Again, strip ½ inch of insulation from both ends of the wire, and clamp the speaker wire down securely by tightening the terminals screw-down clamp. Repeat steps 2 and 3 for channels three and four. Again, run speaker wire from the positive terminal of channel 3 to the positive terminal of subwoofer two. Finally, run speaker wire from the negative terminal of channel four to the negative terminal of subwoofer two. Keep in mind that when bridging an amp, the resistance load (measured in ohms) is effectively cut in half. For example, if you are powering a 4-ohm subwoofer with a bridged amp, the resistance load would drop to 2 ohms. It's important to make sure that you're amp is capable of handling a 2-ohm load. Check your amp's manual for that information. Never allow an amp to operate below its minimum resistance level (ohms), because it can damage the amp beyond repair due to overheating. Most amps are capable of running a 2-ohm load, but check your amp's manual to be sure.